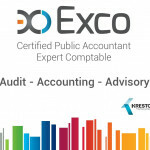 EXCO CPA firm has immediate permanent positions for both junior and senior accountants. Our firm offers accounting, tax and consulting firm to both domestic and international companies and individuals. We are looking for bright, self motivated and reliable individuals that enjoy working with a variety of clients and are able to work as a team member and under deadline pressure.